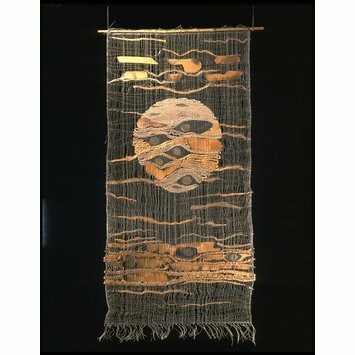 'Moon' was produced by Polish-born weaver Tadek Beutlich around 1963, and was shown in the exhibition 'Weaving for Walls: Modern British Wall Hangings and Rugs', which opened at the V&A in 1965. Having studied in Poland, Germany and Italy, Beutlich graduated in textiles from Camberwell School of Art and Crafts in 1950, and subsequently taught there from 1951 to 1974. 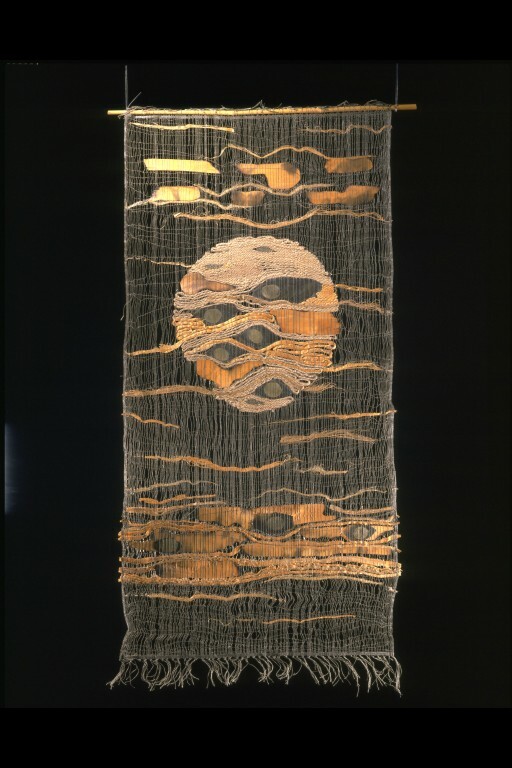 His early work utilised more traditional tapestry techniques, but he became more experimental, using open-weave structures and incorporating ususual materials, such as in this wall hanging. Here, Beutlich has woven with ramie and camel-hair, then inserted honesty seeds, x-ray film and strips of wood veneer. 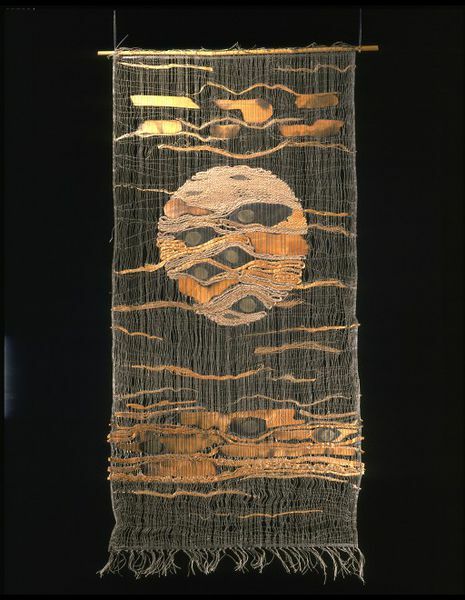 Wall hanging of woven ramie and camel-hair with inserts of honesty seeds, x-ray film and charred wood veneer. Unevenly spaced warps of linen with irregular wefts of linen.